By Peter Anderson 5 Comments - The content of this website often contains affiliate links and I may be compensated if you buy through those links (at no cost to you!). Learn more about how we make money. Last edited November 19, 2018 . As a personal finance blogger I often get emails from publishers and PR people who want me to review on of their author's latest books. They offer to send a free review copy of the book out if I agree to read it and do a review. I don't always take the publishers up on those offers because I get so many of them that I could seriously turn this site solely into a book review site. Every once in a while, however, I'll get an offer of a book that I think fits the demographic of the site well, or of an author that I really like. 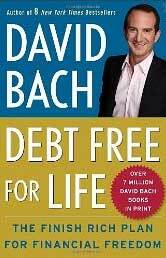 When I was offered a copy of author David Bach's latest book, Debt Free For Life: The Finish Rich Plan for Financial Freedom, i jumped at the chance to read it. I've read some of his books in the past and enjoyed them – and thought they gave great advice. 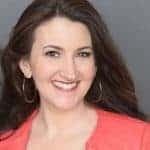 I also appreciated how David embraced the personal finance blogging community – making himself available for interviews on sites like ManVsDebt.com among others. The PR folks also came up with an interesting idea for a review this time -something a little different. Instead of reviewing the whole book, why not just review one chapter – and other sites will review the other chapters. I agreed to do that. So here' s my review of Chapter 13: Debt Settlement: Solution or Scam? What Do Debt Settlement Companies Do? While the whole book reads well and is full of debt killing advice that I completely agree with, chapter 13, about debt settlement, is one that many debtors would do well to read. The chapter goes into a variety of topics when it comes to doing a debt settlement. It talks about how most debt settlement companies aren't doing anything that you can't do on your own, how most of them will charge you through the nose to “negotiate your debt”, and how our goverment is in the middle of trying to pass laws to help keep these debt settlement companies in check because so many of them are abusing debtors at their most vulnerable times. The chapter on debt settlement starts out with a quote. If it sounds too good to be true – it probably is too good to be true! The debt settlement industry is fraught with fraud and abuse, and as such the government is currently coming down on them hard like a bag of bricks. Because so many of them make outrageous claims about how many they have helped, and how much they can save you, when in reality their numbers are either fudged our downright false. They're making claims that are just too good to be true. Get out of debt with one monthly payment! Reduce your debt by up to 50%! New government programs! New free and easy programs are available for those who are in debt right now! Take advantage while they're still available! I'm sure you've seen the ads – they're everywhere, and they're there because they're effective. They give hope to people who are drowning in debt. The only problem is, they usually can't back up the claims they're making. David Bach lays it out plain, as to what debt settlement companies actually do. Essentially when you contract with a debt settlement agency you're allowing them to be your agent, and go into negotiations with your creditors. In plain English – they will call your credit card company and try to settle your debt for less than you owe. So if you have a $10,000 debt to Chase, they'll call them up and negotiate with them to try and get that reduced. Usually that means, however, if your reduced settlement offer is accepted, you have to pay it right away. Since most people don't have $5-10,000 sitting around to settle and pay off their debt, the settlement agencies will start collecting payments from the debtor, and when the amount starts nearing the amount they think they can settle for, they'll call your creditor. The thing is – none of this is anything you can't do on your own. To top it off – you're paying the agency big fees to do it for you! If debt settlement actually worked like they say it did, some people might still be willing to pay to go through the process and get their debts reduced. The problem is, it rarely is that easy. There are a host of issues that often arise, and the debt settlement companies often won't tell you these things. Many creditors won't work with for-profit debt settlement companies: Many credit card companies like Discover and American Express have blanket policies of not working with for-profit debt settlement companies. Your credit could go in the tank: Often debt settlement companies will tell you to stop making your payments to the creditor because in the end it will make them more likely to accept your offer in compromise. What they don't tell you is that it may also cause a big blemish on your credit. Your debt could go up due to using a debt settlement company: Often people will find that their debt has gone up by using a debt settlement company – either through fees charged by the company or by interest and penalties accrued by not making payments. You could face a big unexpected tax bill: If a creditor does reduce your debt amount in exchange for payment in full, the amount forgiven will be reported as income, and you'll owe taxes on it! It's expensive: Debt settlement companies don't work for free, and you could end up paying them thousands of dollars. So in the end, David Bach says that it is rarely ever a good idea to get involved with one of these for profit debt settlement agencies. If you ever do make that mistake, make sure to check out the specific company through the Better Business Bureau, and see what kind of rating they have there. Instead of debt settlement, try setting up your own debt repayment program (which he details in the book – his DOLP system), or try working with a non-profit credit counseling agency. David Bach's book, Debt Free For Life: The Finish Rich Plan for Financial Freedom, offers sound financial advice both for people who are on a solid footing, and for those who are looking to dig their way out of debt. He writes in a plain straight forward manner that will help you understand your own situation, and help give you hope if you're in a tough situation. I highly recommend it for just about anyone who wants to take charge of their financial life and feel empowered by making a change for the better. Thanks for the helpful review. You convinced me to put this one on my reading list! Yeah, i had noticed that. It’s a losing battle trying to block all of those.. Consider yourselves warned folks! Being debt free can give a person peace of mind and some control over what we are able to control. I always remember that it is God’s money and I have been blessed to have it. Although I may use the Bible money matters and Dave Ramsey techniques, ultimately God is in charge. On my way to retirement I had a major stroke and am now semi disabled. Without following the debt free plan that God directed me to do, My family would be devastated. Thank you for the advise. It really works. Health is the looming variable in our lives. We must plan for the worst just in case….. I agree, it’s a great book! Of all the topics he covered, however, there’s one that he only touched on, and in a way I’m not sure what his opinion would have been. This book is for people in debt, and he talked about everything except what to do if it’s already gone to a collection agency, and is not time-barred (either because it’s not old enough or because you acknowledged it after the fact and restarted the clock). I’m trying to find everywhere whether there’s any harm in settling amounts when your credit’s already shot, and having no luck on finding an opinion. In the book it said it could drop your score quite a bit, but mine’s already low, and I have several debts in collection, so the question isn’t about it dropping. It’s about whether it would go up faster if I take longer and pay each item in full, or take less time to pay things off by taking settlements so my money goes farther. Most of these amounts include outrageous fees, anyway… But yeah, I’m kind of surprised he completely avoided that topic.I’m sure many people would have found it useful. Previous Post: Get Your Ticket For The Financial Blogger Conference And Win A Free Custom T-Shirt! Next Post: Should You Give Directly To The Poor?